Recent changes in Arctic sea ice cover, driven by rising air temperatures, have affected the timing of ice break-up in spring and freeze-up in autumn, as well as the extent and type of ice present in different areas at specific dates. Overall, multi-year ice is rapidly being replaced by first-year ice. The extent of ice is shrinking at all seasons, but especially in the summer. 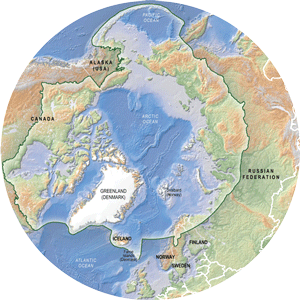 The Arctic Ocean is projected to be virtually ice-free in summer within 30 years, with multi-year ice persisting mainly between islands of the Canadian Arctic Archipelago and in the narrow straits between Canada and Greenland. The Life Linked to Ice: a guide to sea-ice-associated biodiversity in this time of rapid change details changes in marine species and human communities as Arctic sea ice disappears and making recommendations to the Arctic Council. makes recommendations that might mitigate these changes. 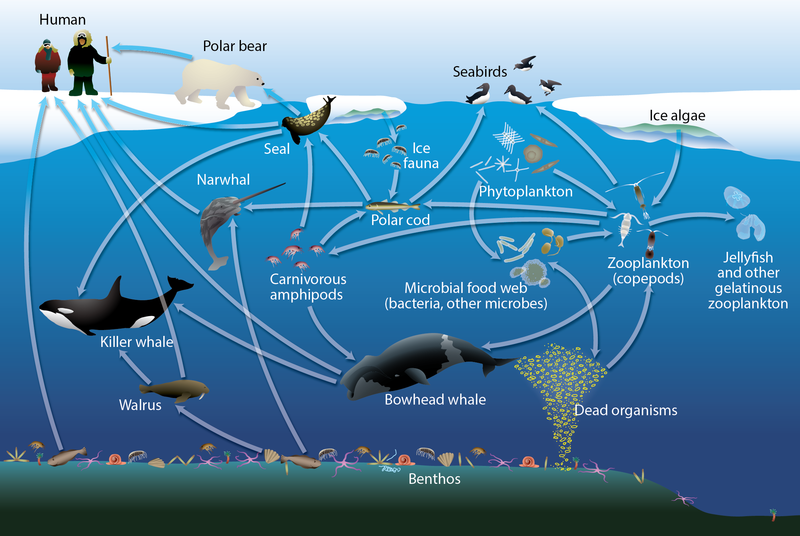 What are sea-ice associated species? How does sea ice loss affect sea ice associated species? The most obvious negative impacts of rapid changes in sea ice are on the species that depend on ice as habitat. The nature of long-term impacts on species that apparently depend partially on ice is less clear. Examples are the polar cod, the dominant fish of the high Arctic, which is strongly associated with ice but also found in open waters, and seabirds that take advantage of high concentrations of food in the productive ice edge zones for egg laying and chick rearing. Impacts of reduced sea ice on humans are also mixed and uncertain. Declining sea ice threatens some Arctic human societies, notably coastal Indigenous Peoples who depend on ice for harvesting and travel and whose cultures and food security are centered on sea ice and its biodiversity. Reduction of sea ice also brings economic opportunities to people both within and beyond Arctic nations. However, new and expanded activities related to resource extraction, shipping, fisheries, and cruise-ship tourism carry substantive risks and downsides to Arctic marine flora and fauna. But sea ice’s association with Arctic biodiversity goes much further than the direct impacts from its loss. Timing, distribution and characteristics of ice cover define and drive the conditions underlying Arctic marine ecosystems, affecting seasonal cycles of light availability, water temperature, nutrients and the flow of energy among the plant and animal communities within and on the underside of ice, in open water and on the ocean bottom. Ecosystems are intricate relationships among these conditions and among the species themselves—and the extent and direction of change for much of Arctic marine biodiversity remains uncertain. Primary production, the building block of food webs, increased by 20% from 1998 to 2009, driven by a 45-day increase in the open-ice period and a reduction in summer ice cover of 27%. But this increase in production is not uniform across the Arctic. 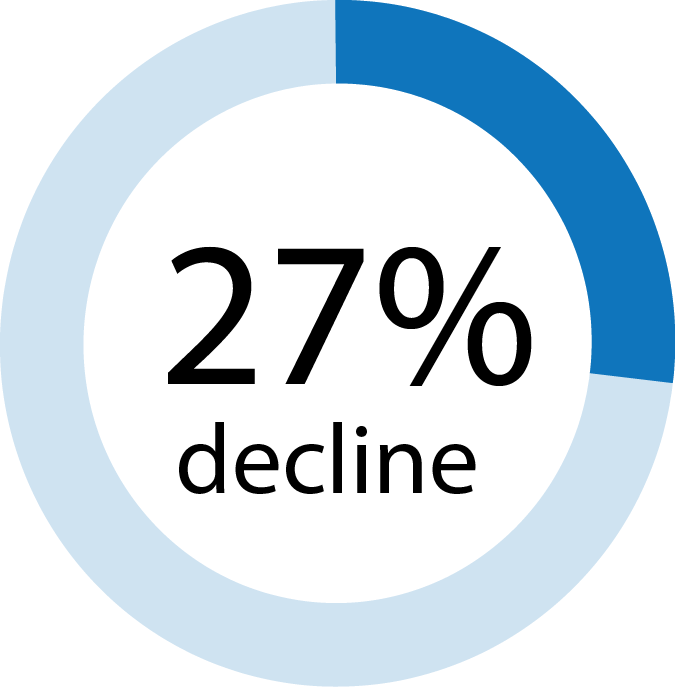 Production has decreased or remained stable in some areas, likely related to changes in how nutrients are mixed through the water column, and there are recent signs of further decreases in production. The timing of algal blooms is changing, as are the species of algae dominating the blooms. It is not clear how this change in timing and in the base food source will influence production of invertebrates and the fish, birds and mammals that feed on them. Changes are likely to be quite different in the shallow seas than in the deep Arctic basins. The reduction in sea ice needs to be considered in the context of cumulative effects because it is also contributing to or interacting with other stressors, including development impacts, ocean acidification, and accumulation of persistent organic pollutants and mercury in food webs. Changes in ocean conditions also mean that sub-Arctic species of algae, invertebrates, fish, mammals and birds are expanding northwards into the Arctic, while some Arctic-adapted species are losing habitat along the southern edges of their ranges. Relationships among species are changing, with new predation pressures and shifts in diets recorded for some animals. To what extent Arctic species will adjust to these changes is uncertain. Changes are too rapid for evolutionary adaptation, so species with inborn capacity to adjust their physiology or behavior will fare better. Species with limited distributions, specialized feeding or breeding requirements, and/or high reliance on sea ice for part of their life cycle are particularly vulnerable. In light of this rapid change and the uncertainty about cumulative effects on wildlife, informed and flexible approaches are required for Arctic ecosystem conservation and management and to ensure food security for those Arctic residents who harvest from the sea. More reliance will have to be placed on risk assessment and on adaptive, ecosystem-based management. Better monitoring is needed, at the right scale for decision-making, as is greater understanding of the functioning of marine systems. All types of knowledge should be utilized to track and understand change, despite the challenges in working across geographic scales and with science-based and traditional knowledge systems. Primary production, the building block of food webs, increased by 20% from 1998 to 2009, driven by a 45-day increase in the open-ice period and a reduction in summer ice cover of 27%. Changes in ocean conditions also mean that sub-Arctic species of algae, invertebrates, fish, mammals and birds are expanding northwards into the Arctic, while some Arctic-adapted species are losing habitat along the southern edges of their ranges. Relationships among species are changing, with new predation pressures and shifts in diets recorded for some animals. Get all the data and graphics from the report on the Arctic Biodiversity Data Service.